Doulas that are with you through each step. "Learn to relax with the touch of your partner." "I cannot praise Steph highly enough. She clearly loves and is exemplary in her job." Stephanie, Certified Lactation Counselor (CLC) is here to inspire, educate, and empower you in a judgement free way. For some women there may come a time in their breast feeding journey when asking for help is the best thing to do. Stephanie is here to answer any questions you may have and to thoroughly discuss any concerns there might be. Helping you reach your nursing goals is her number one priority. Steph Holthus is excited to be bringing this premier, all inclusive class to our area. She taught The Bradley Method® for five years in southern MN. The Green Stork believes in the sanctity of birth. Knowledge is power. We value and treasure birth as a natural process. In this complete childbirth ed. course you will learn, in detail, everything you and your partner need to know in order to trust your body, and relinquish any fears…. Hypnobabies® Childbirth Hypnosis is a complete childbirth education course that also teaches medical-grade, somnambulistic hypnosis techniques, imagery and visualization to re-train the inner mind in a very positive way, which helps to lessen and, in many cases, eliminate discomfort and fear from the birthing experience. With adequate preparation, and in the absence of complications, our Hypno-mothers can experience more comfortable, shorter and easier births. Spinning Babies Parent Class highlights your baby’s active role in birth. During labor, baby needs to pass through “3 Gates” of the pelvis. This class teaches techniques to help expand the pelvis and the muscles that support -or restrict – your pelvic “gates” . Together, you and your partner can use these techniques before and during labor to help “make room for baby”! The goal of Spinning Babies is to create conditions where baby can find the optimal positions for labor, making birth easier, less painful, and even pleasurable! Traditional Chinise Method (TCM) has a long history of use, it’s been around for thousands of years. TCM is a method of creating harmony and balance in the body. Chinese medicine believes that the women is “cold” for a full 40 day recovery period after birth (postpartum). She should only have warming food and drinks. This method involves steaming and dehydrating the placenta. After it is steamed it is dehydrated and encapsulated. 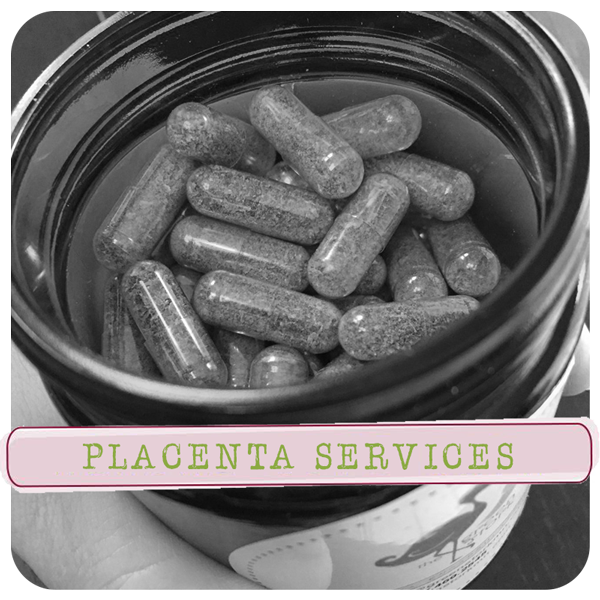 The process of preparing the placenta helps to tonify and speeds the recovery process. while in labor or giving birth. Reserve your birth pool now for a birth experience of a lifetime! Become a doula and experience one of the most fulfilling ways to support women and their families! Birth is a journey that unfolds spontaneously and organically. Through this journey women and their partners face important decisions and powerful emotions. The role of the doula is to be the grounded, constant voice and touch of reassurance and calm. The doula honors and preserves the family’s space and choices which allows them to be engulfed in what really matters, the transition of their beautiful baby earth side. Come ride the birthing high and join the Birth Art International doula team by taking this certification training being offered to you by the Green Stork! While you prepare and learn how to give birth. The Green Stork will provide a space that is open and free of judgement for both you and your partner. Supporting you through your experience every step of the way, from your education to labor and birth. You are sure to feel confident in your choices, knowledgeable in pregnancy, birth, and postpartum. Register for classes in Southern Minnesota today or contact us to set up your complimentary “get acquainted” meeting.